Discussion in 'MSI Reviews & Owners' Lounges' started by -=$tR|k3r=-, Jan 14, 2019. Vasudev, GenTechPC and Atma like this. As I have mentioned in previous post here, I opted for the GT75 Titan-013US model, due to it's 144hz screen. To me, since this is only a 17" screen, the models with the 60hz HD screens do not make much sense for gaming. 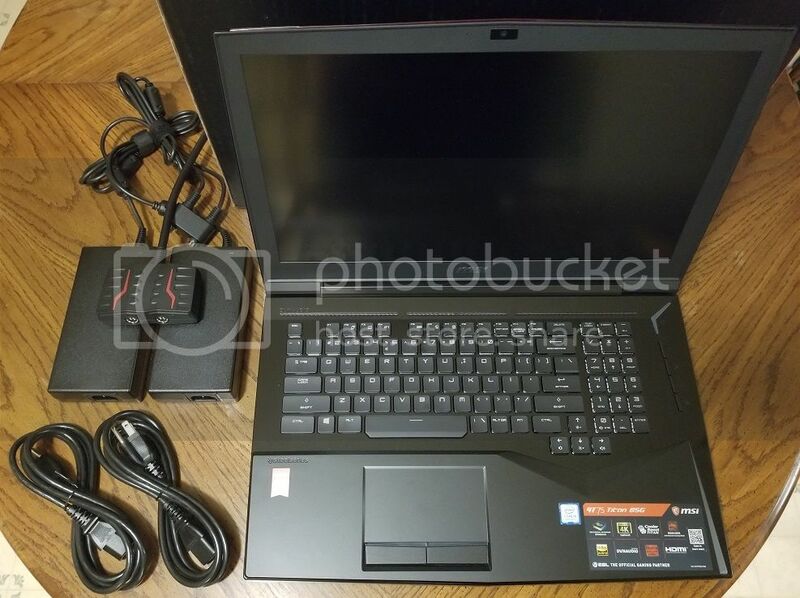 However, the -013 model is not spec'ed as I would like, and I will be returning this notebook to have upgrades done to primary and secondary NVMe storage, DDR4, and a thermal re-paste of CPU and GPU. I would have had this done prior to delivery, but I was too anxious to get my hands on this new toy.....a BIG mistake! Over all, this notebook is truly stylish, excellent build quality, Big, Bold, Beautiful, and without a doubt, a true performance POWERHOUSE! Everything simply works well, very responsive, lightning fast, and lives up to it's moniker, "The Titan". In short, I love most everything about this notebook, except for one critical thing....and a HUGE problem in my book! I am not fond of any notebook which can boil water straight from the box, and has fan noise so loud, that it can easily be heard in the next room. Quite simply, and as anticipated, this i9-8950HK runs HOT! This immediately became apparent when running a full-system scan with my security software. Shortly into this, I noted the CPU fan spinning-up loudly, which had me wondering, 'What the HECK is going on here'? I immediately launched the Dragon Center, and observed the CPU utilization was fluctuating between 86 to 96%, the CPU temp was at 96 C, and the CPU fan was spinning at 4800 RPM. GEE WIZ, this was only a security scan for goodness sakes. 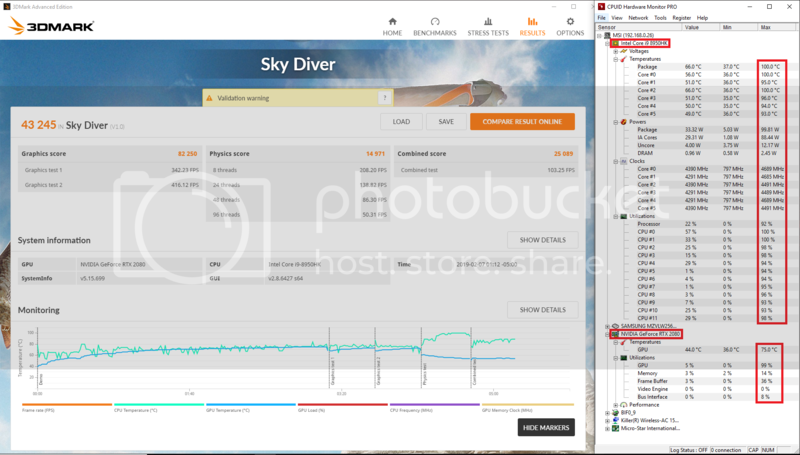 As such, I am now reluctant to run any serious benching which will tax the CPU....but of course, I did so anyway, opting to do 3DMark Sky Diver. Here are the excellent scores, but also what happened with CPU temps during the Physics test....Ouch! On the other hand, I was very pleased with the GPU max temp of 75 C, at 99% utilization. This is an excellent temp, attesting to the GPU's efficiency. Furthermore, in spite of the high CPU temps, the benchmark ran flawlessly, fast and smooth. Like a hot knife to butter, the GT75 sliced through Sky Diver as I haven't seen previously in a notebook. 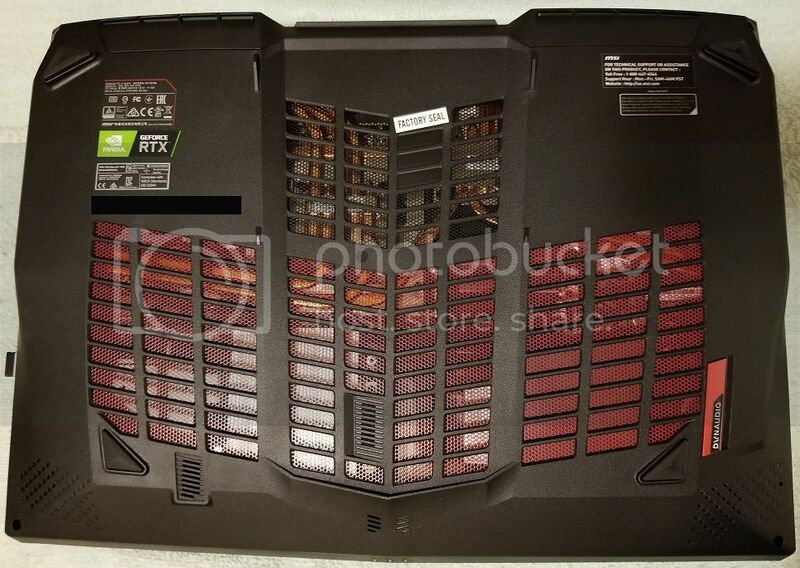 Anyhow, from what I have seen thus far, the manufacturer should focus more attention to thermal control within these i9 notebooks, specifically the TIM application, and perhaps an undervolt. 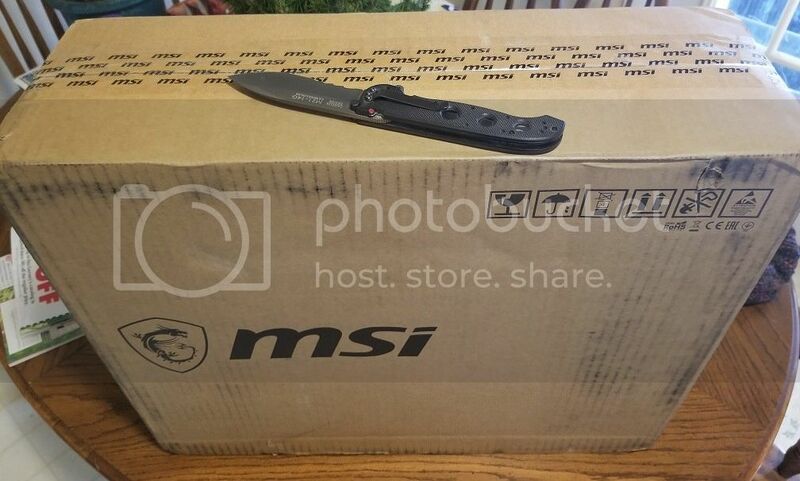 By design, MSI has opted to give us these powerful, infamously hot-running processors, and customers need not have systems that can boil water for their next cup of tea. I have seen results wherein a liquid metal application can significantly reduce i9 CPU temps. 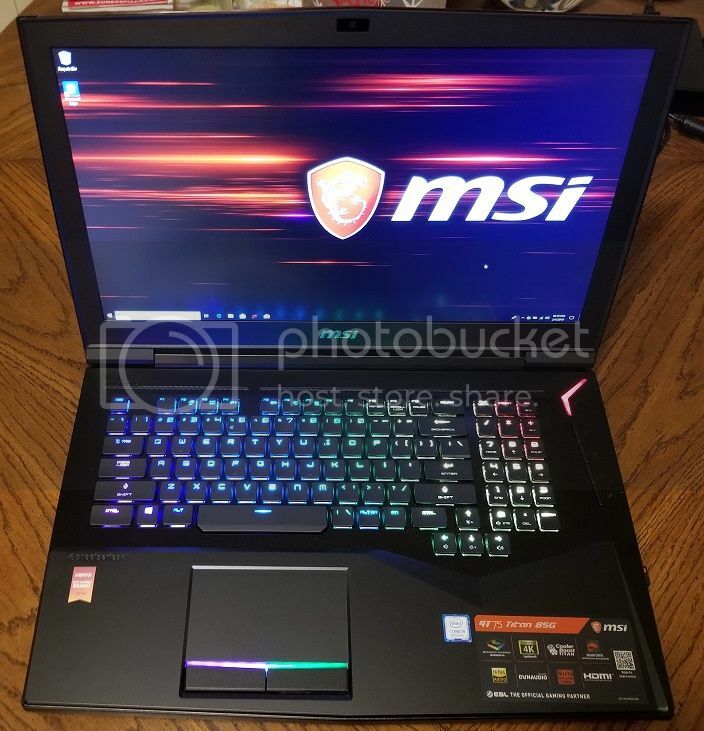 Personally, though it will cause delay in the delivery of your new system, I would recommend all purchasers of these i9 notebooks, consider having their reseller re-paste at least the CPU. This is one of several good reasons for purchasing from an authorized 'Reseller', as opposed to warehouse e-tailers, which often do not provide such services. On a positive note here, I notice Gentech PC is offering the following special options in thermal paste. Normally, the cost for such services can run an extra $35 to $50. Only $0.01! This is an outstanding value, especially given the amount of time and work involved here. This model came equipped with a single 256GB NVMe SSD (Samsung MZVLW256HEHP), but once upgraded to 512GB NVMe RAID-0, I'll post further SSD benchmarks for comparison. It will also be interesting to see a re-run of Sky Diver, with temps reflecting the new liquid metal application. Vasudev and Atma like this. I look forward to a review, I am interested in the RTX2080 performance because I found the desktop versions a tad disappointing, particularly due to price. It seems the 2080 is the only one like a true step up from my GTX1080. 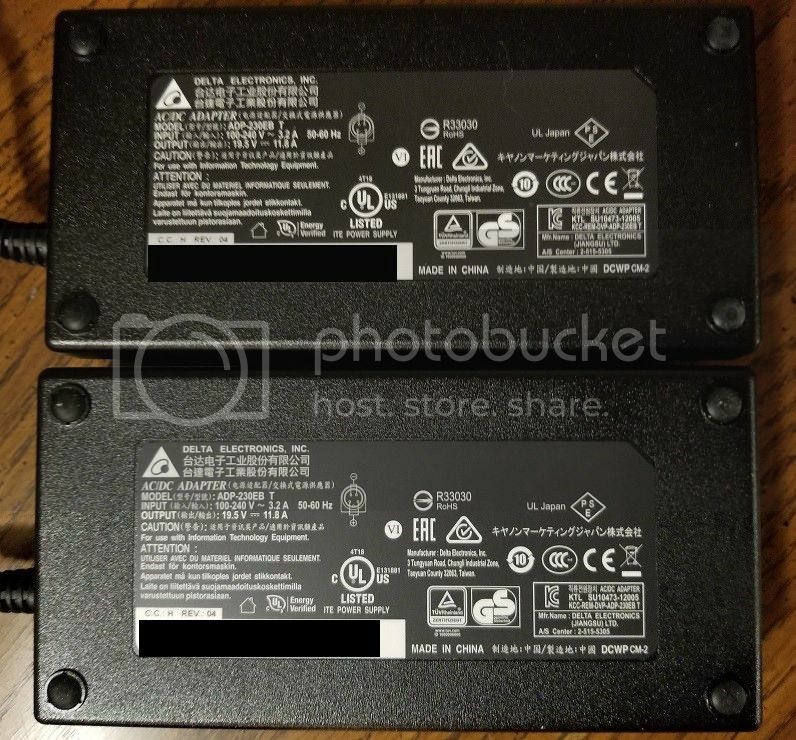 So no SKU with an i7-8850h this time? Man the i9 is going to inflate the price for anyone wanting a 2080. I suppose it's almost time to reach out to my contact at MSI, to see if they are going to honor the trade in program this go around. Promises are promises. ryzeki, win32asmguy and hmscott like this. I'll do my best to represent! Though I have already pre-ordered with Ken, per se' (laid down the plastic), I am caught between GT75 -011US and -013US models. Naturally I want the top config, but I am somewhat put-off with the 60hz HD screen, and I feel from a gaming perspective, I would be better served with the 144hz screen. The GS-75 you are looking at is definitely a slick and sleek design, and I can see why it's caught your eye. 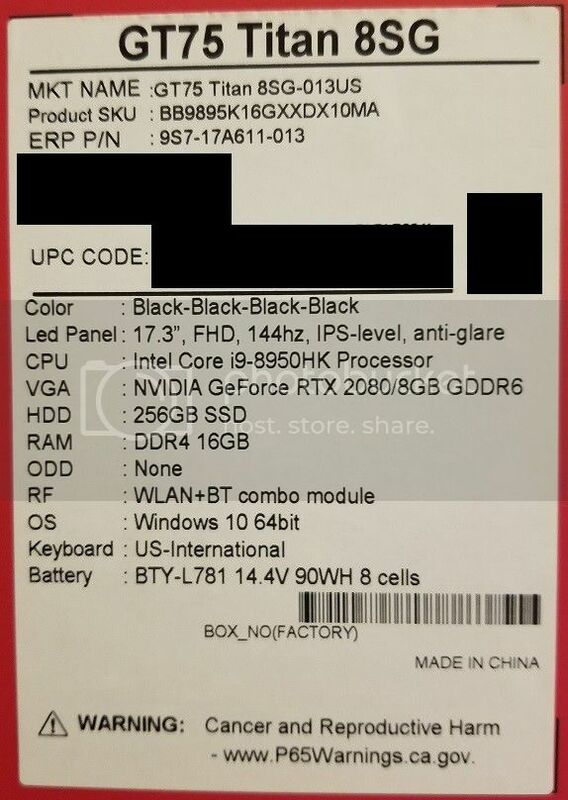 However, not sure if you noticed, the 2080 is the Max-Q, rather the desktop GPU.....BUT, at least you won't have to worry about the clunky dual-PS, and much less thickness and weight. I feel the performance will be there, but as with all of these notebooks, the question remains if they can do the job without throttling, and do so under gaming load, cool & quiet. Of course the GS75's new 'Trinity +' design reads well, but this remains to be seen. GE75 does comes with i7 and 2080. Has anyone heard from Kevin Wong(?) 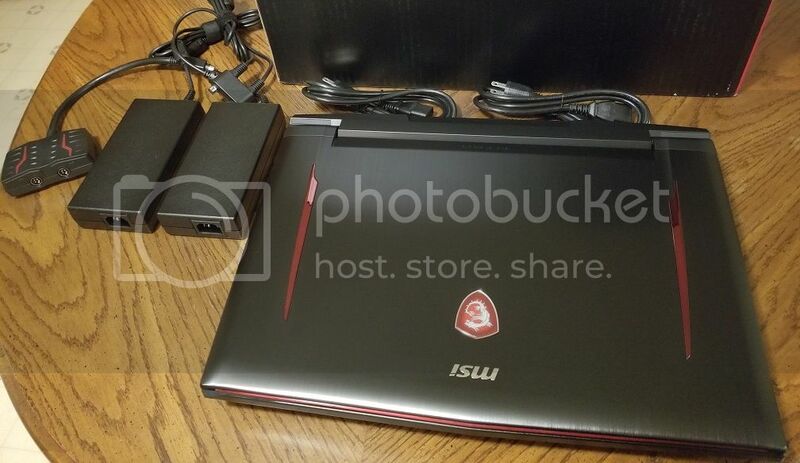 MSI USA rep? Found some pricing on some of the models.